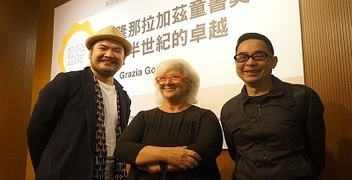 “BolognaRagazzi Award: A Half Century of Excellence”—organized by Taipei Book Fair Foundation (TBFF)—drew a 200-strong crowd to the Taipei event on Nov. 14th. It featured Bologna Children's Book Fair consultant Grazia Gotti and was hosted by local illustrator Page Tsou. Also present at the event were famed Taiwanese artists Jimmy Liao and Chao-Lun Tsai. In order to broaden local illustrators’ horizons, they are encouraged to walk their own paths, according to Gotti. Created in 1966, the BolognaRagazzi Award is for professional illustrators, and has served as a springboard launching the career of many up-and-coming artists over the years. Gotti, who has served on the judging panel for the Bologna event, took the audience on a visual tour through the award winners. The spirit of the award is to foster the exploration of new vistas rather than following mainstream trends, Gotti said. Separated into the two categories of fiction and nonfiction, the award also recognizes the achievements of new talents. In the early years, award winners were mostly of European descent, while Korean artists came to the forefront starting in 2001. China, meanwhile, was the theme country of 2018. The first Taiwanese illustrator to clinch the honor was Hsin-Yu Sun, whose “One Day in Beijing” was praised by Gotti at the event for keeping intact what’s unique about her origins while making inroads to the international market. Writers and artists should take children’s needs into consideration, as well as what they wish to share with them, Gotti said. In terms of knowledge books, she added, current development is somewhat lacking in innovation as most publications still originate from France and the U.K. Illustrations are a perfect match for children’s learning, according to Gotti, who cited another Ragazzi winner—“Maps” from Poland—as an example. The book went on to sell approximately 3 million copies worldwide. 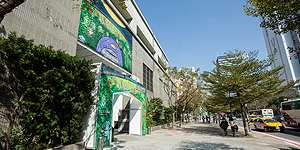 In response to local illustrators showing interest in competing for the Ragazzi award, TBFF Executive Director Hsiu-Yin Wang welcomed all interested parties to attend the Nov. 21st admission seminar for the Taiwan Pavilion at the 2019 Bologna Children's Book Fair for more detailed information. 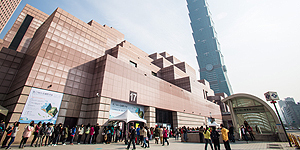 Copyright © Taipei International Book Exhibition All Rights Reserved.